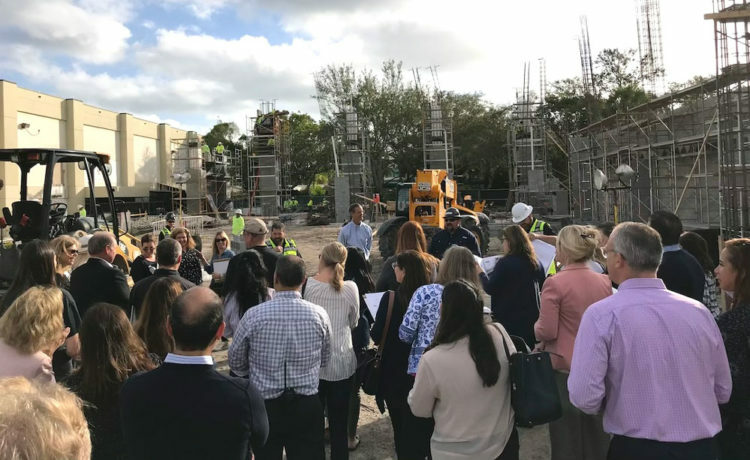 Westminster Christian School celebrated the construction of their new performing arts center, The Lighthouse, with a construction tour for donors, school families, and Palmetto Bay officials. Head of School Scott Jones, WCS Board of Trustees’ President Dr. Alex Trujillo, and school administrators updated attendees on the project, and fine arts students provided entertainment for the occasion. Following the ceremony, guests were invited to tour the construction site, led by general contractor Newport Construction and Villa & Associates, the architect for the project. It was an honor to have Village of Palmetto Bay Mayor Karyn Cunningham and Council Member Marsha Matson in attendance. To learn more about this project, visit Support WCS on www.wcsmiami.org. Founded in 1961, Westminster Christian School is an independent, college-preparatory Christian school, serving approximately 1,250 students from preschool through 12th grade on a beautiful, 31-acre campus in Palmetto Bay.